ETHNOS was created in 2013 by a group of musicians who were looking for a platform to collaborate and share their knowledge of and love for different music traditions around the world. 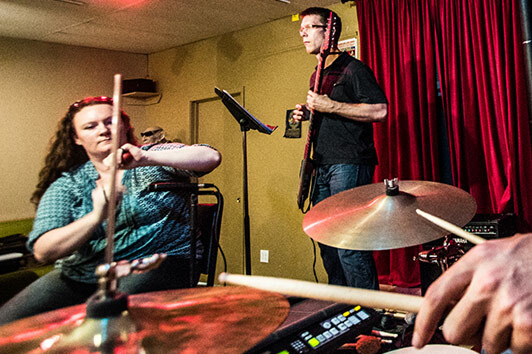 Band members combined their expertise in diverse music styles and created a world music band founded in creating new music fusions and deeply rooted in improvisation. The name “ETHNOS” comes from the Greek root meaning “people.” We chose this name because, at the very core, our music is a story about people—a story about people overcoming the challenges of diversity and coming together as a community in the name of music. 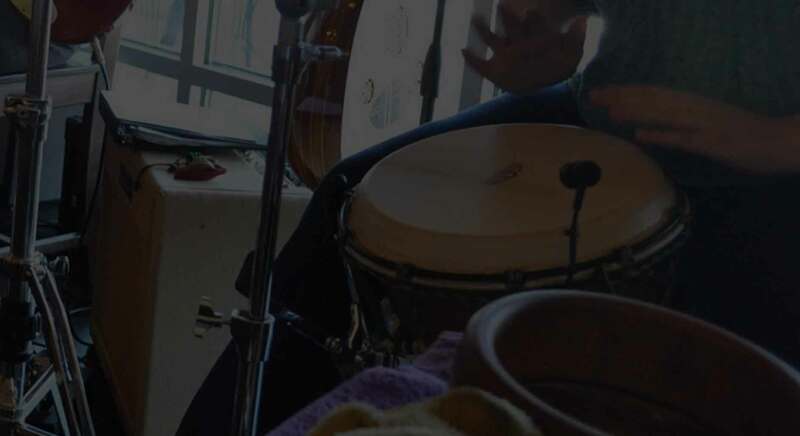 At its foundation, ETHNOS seeks to entertain, educate, and enlighten audiences by exploring the diversities and commonalities of the different music practices of the world. 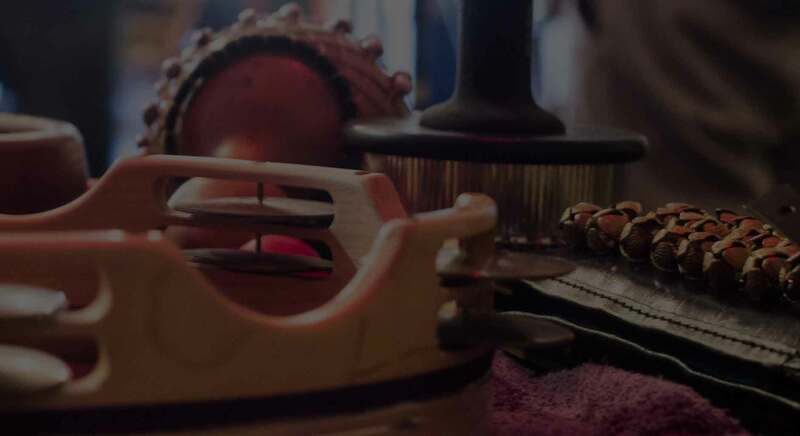 The band is inspired by cross-cultural musical connections that span time and space, such as the relationship between the rhythms of Latin American and traditional West African music styles. Band members also enjoy showing how diverse music practices can be combined to create new aesthetic “fusions.” At a typical concert, you might hear us apply Karnatak rhythmic principles within a British pop song or reference Indonesian metric structures in traditional Japanese shakuhachi tunes. 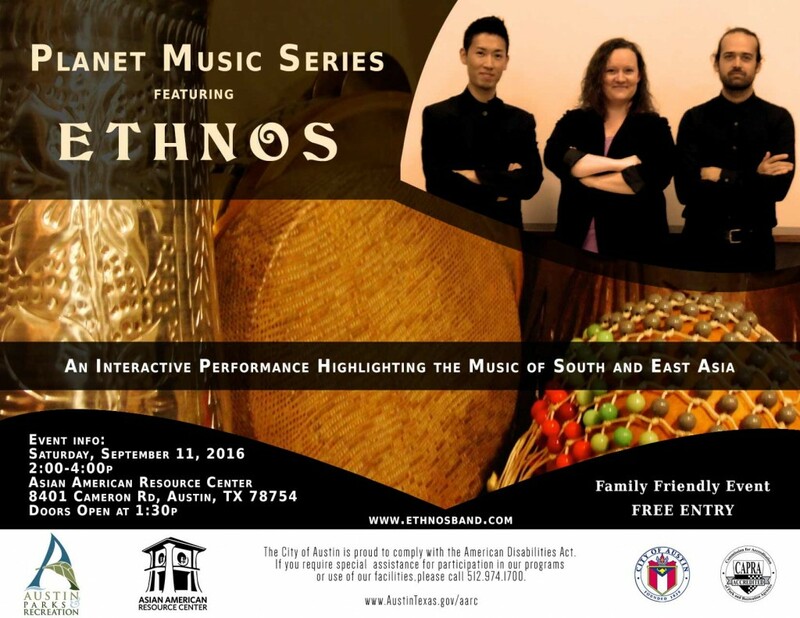 ETHNOS finds these deep cultural connections and syntheses intellectually and aesthetically satisfying. 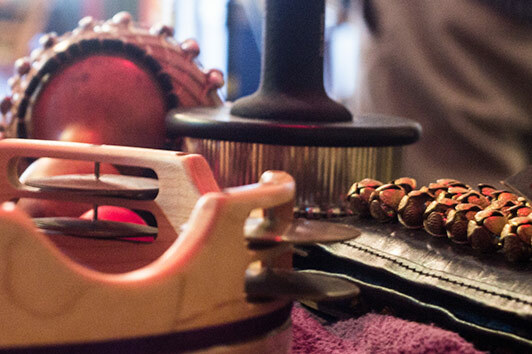 Our repertoire is drawn from music from many different parts of the world. 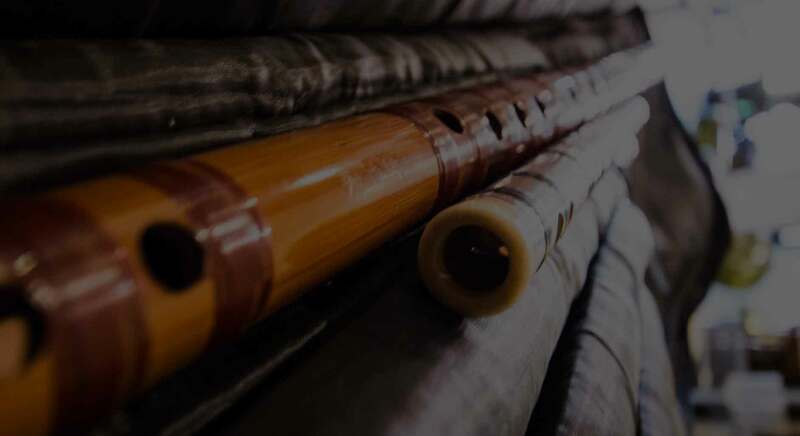 We perform an eclectic mix of Karnatak music, Middle Eastern music, rai, Chinese traditional and pop music, jazz standards, rock, Ethiopian pop, and traditional Japanese shakuhachi melodies. We perform repertoire from these traditions and combine aspects from these traditions into new fusions and collaborations.